The cracks cover the glass like a spider web, a corner is corrugated, the case is completely scratched: the man looks sad to see his smartphone that was fallen and covered by snow. He pushes the snow from the back, wipes the phone dry, holds it to his ear, rules his children, ask questions, or give advice. The woman exhorts the children and also looks tired. Two minutes ago, the children were still blasting. Two minutes ago the smartphone still worked. The man held his smartphone in the air with an outstretched arm – then a shadow came from above grabbed his phone, and when the fright subsided, the monkey sat with the smartphone again on the tin roof of the house next door. He looked at it as if he were on the track of a great mystery. Then he tried to taste it. Then he peeled it down into the street. It slithered past me and stayed short of its owner. 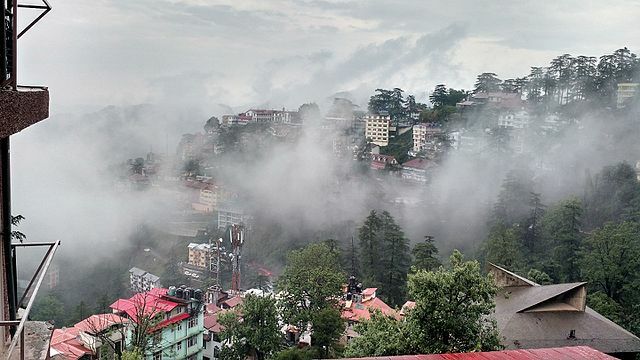 The most famous photos from Shimla are not holiday-makers’ for people who are traveling, but historical recordings: The wonderful city for travelers in the southern foothills of the Indian Himalayas was formerly a summer residence of the British colonial government. 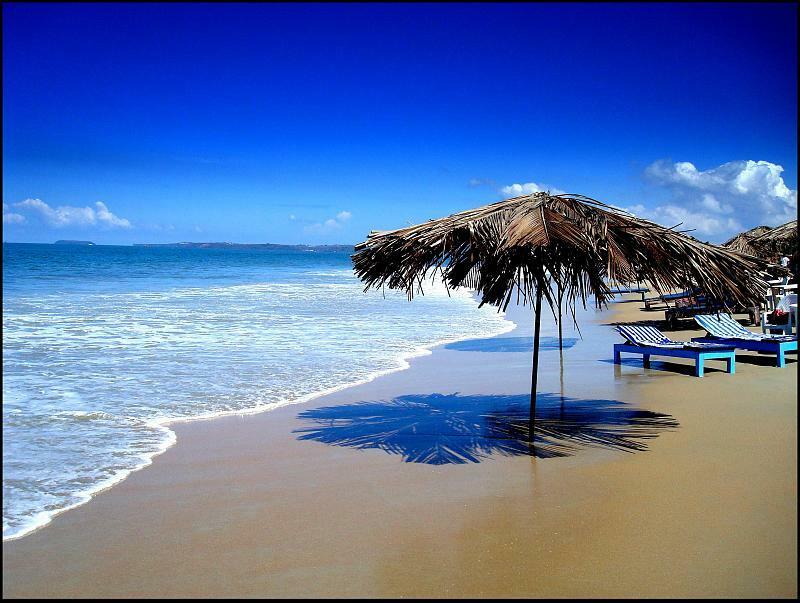 Whenever the heat in the spring fell over Kolkata and Delhi like a hungry tiger, they went into the mountains at 2,400 meters above sea level, the government, the staff, the officers, all, everything. In the summers between 1864 and 1939 a small empire was ruled from the small Shimla. Today the monkeys reign in Shimla. Macaca mulatta, to be exact: Rhesus monkeys. The species is at home almost everywhere in India. In the Hindus, the monkey god Hanuman receives one of the big players, he is considered a god of the scholarship and protector of the villages. Because of Hanuman, the Indians worship the monkeys. Not only are they respected, they often feed them, too, with nuts or puffed rice, for example, which pleases Hanuman and brings his blessing. The monkeys, however, lure it into the cities. Shimla with its 170,000 inhabitants, spread over several hills, in the midst of vast forests, where countless primates live, therefore the situation in the past years has completely out of control: estimated 15,000 to 20,000 monkeys have spread in the city. They screech over the corrugated iron roofs, tear old clothes out of their hands, climb to the refrigerator plundering into houses, fall into hordes over market stalls and vegetable fields and also organize an affair. “The terrorists, sir, these monkeys are terrorists!” Lamented the taxi driver, who had set me in front of the hotel, told that his daughter had recently been badly injured when she had defended her doll against a monkey. As if his warnings had yet to be underlined, at that moment a rhesus monkey ran the power line over us. He banged freely. 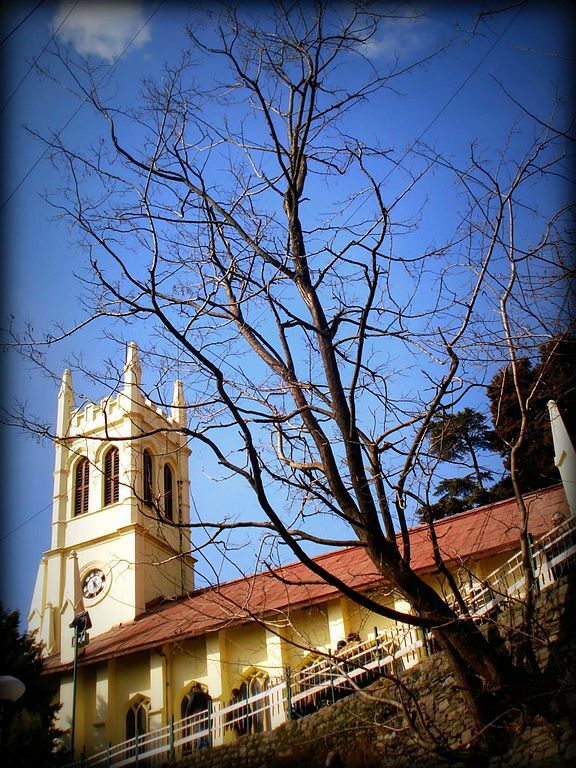 The Woodville Palace is really a best place for the people who are traveling visits Simla for the first time. It is one of the colonial hotels that seem to be held together by the ice-cold mountain air. Formerly the British commander-in-chief resided here, and now travelers from the US and Europe can get additional blankets and heaters. In the rooms, black and white photos are depicted, with maharajas and colonial officials, shy-looking princesses, foreign travelers and a lot of dead tigers. The hotel is located just outside a small hill, probably the view of the city would be wonderful for the people who love traveling. Unfortunately the windows of my room for monkey protection reasons are so barred and that you can neither look out nor open it. And outside the door I do not see so clearly. This is because I have my spare glasses. Actually, I should not wear glasses at all. They advise you all here. Shimla’s monkeys have specialized to steal not only smartphones, but also on glasses. “They jump from your back on your shoulder and tear them from your head, sir,” Hamal explains. I do not want to discuss with Hamal about my chances of catching a pair of falling glasses, falling from ten meters of tree height before the impact with a kind of pike dredge. Hamal owns a large stick and patrols the property. When he sees that monkeys are moaning around the facade of the building or are worried about the windows, he shouts loudly and shakes his stick. Before that, Shimla’s monkeys have respect. There are hotels whose monkey officers are equipped with air guns. But hamal’s stick was also good. To the proof he threatens a monkey who has just jumped out of a tree to the driveway and is watching us from there. The animal does not seem to have any fear. Only when the monkey’s battalion strikes a tree trunk is she trolling. 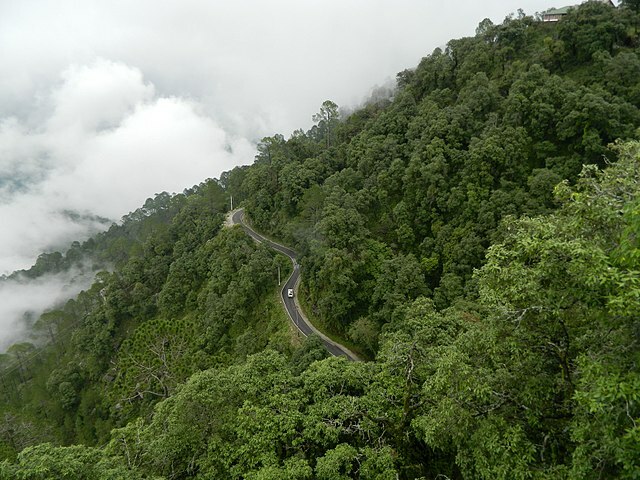 On the way to the Shimla city many people come with umbrella or walking stick. 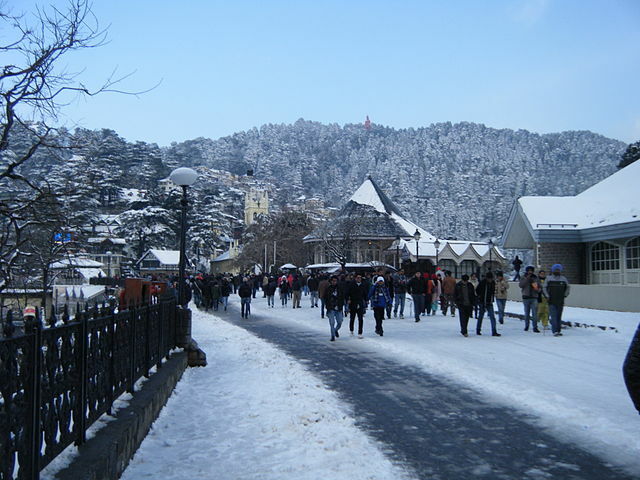 Shimla’s historic center consists basically of a several-kilometer-long street with the beautiful name The Mall. 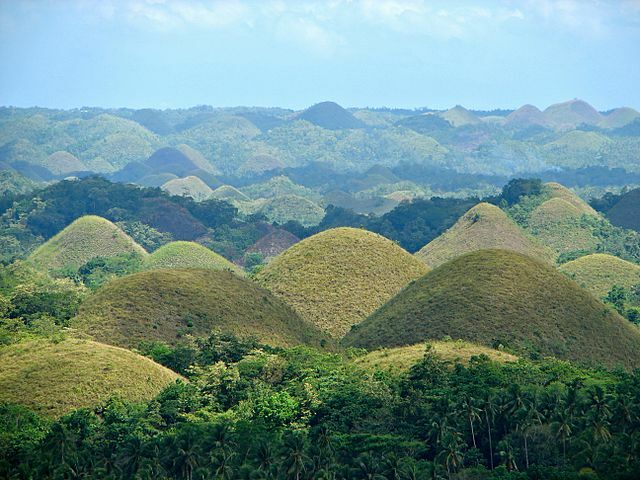 It balances on the ridge of a narrow mountain range. All the other streets hang on, two or three floors further down the steep slope. The stacked houses seem to lean against the mountain; The whole city looks as if it is afraid to make the great exit to the valley at any moment. The English did not come up higher in this part of the world. About Shimla, there is only the sky. 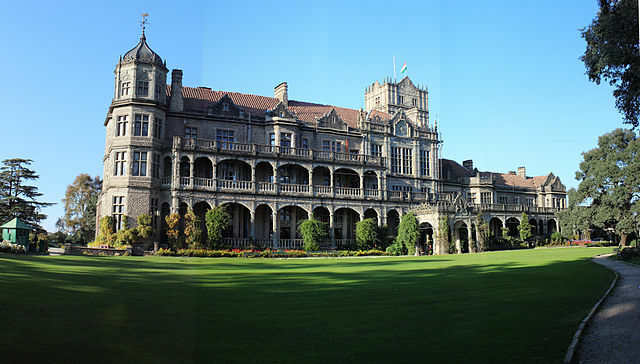 Almost all colonial buildings were abandoned after the Indian independence. Since then, Shimla dissolves into his components and crumbles softly to himself.